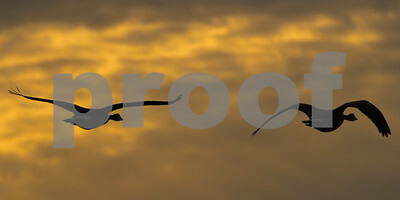 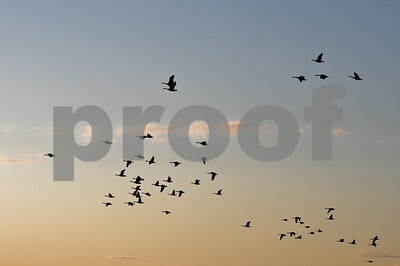 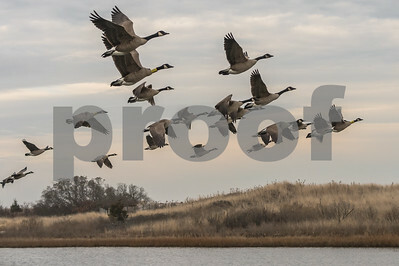 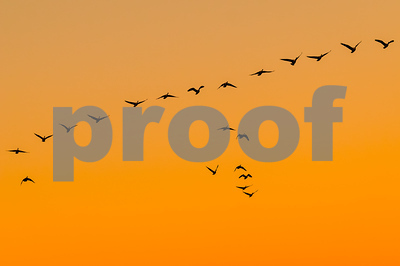 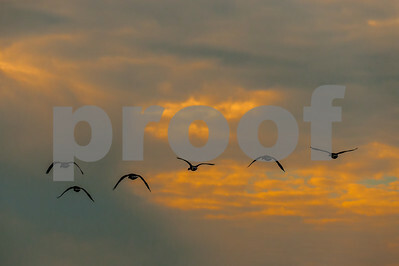 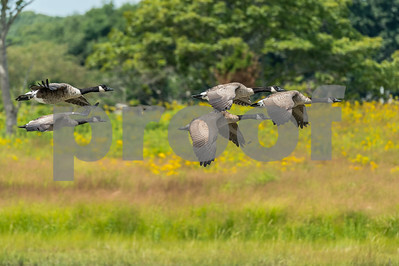 Two Canadian Geese fly over a salt marsh heading toward the ocean which is just on the other side of the sand dunes. 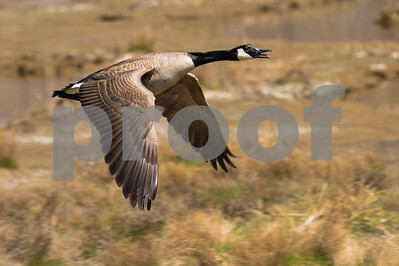 The lead goose is wearing a neck collar used to study/track geese. 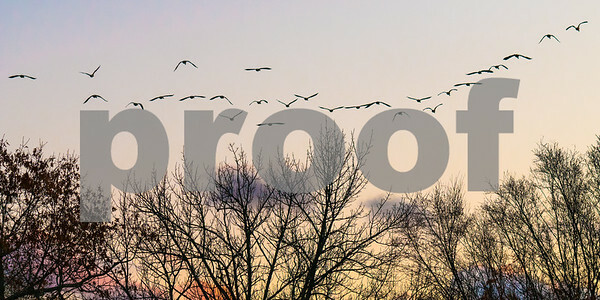 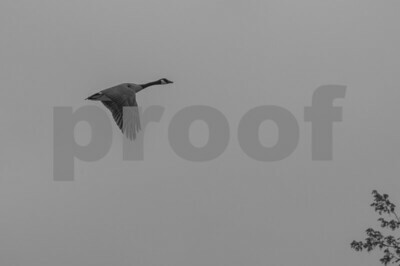 The sun briefly peaks through the clouds of a very dark sky highlighting the graceful movement of two Canadian Geese flying away. 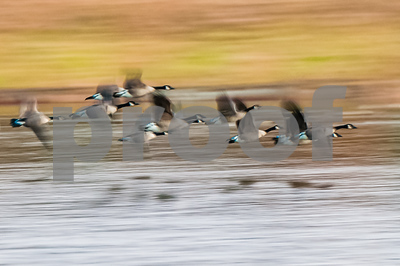 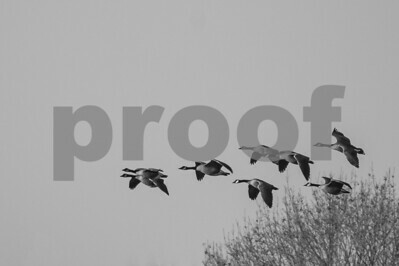 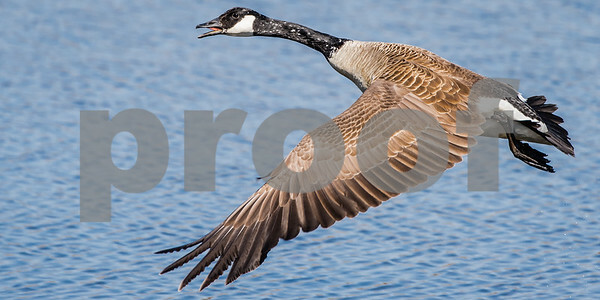 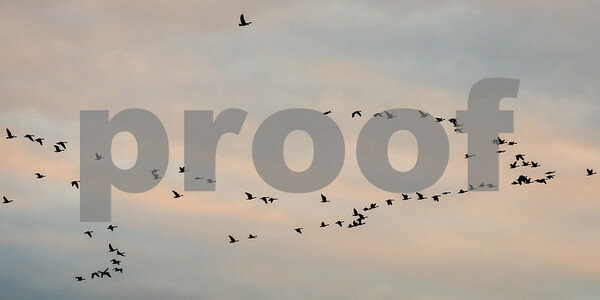 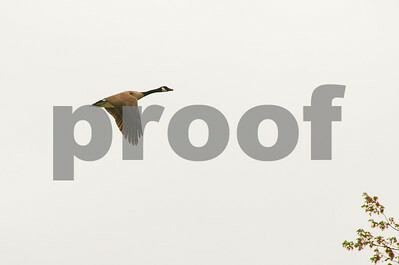 Canada Goose (Branta canadensis) gains altitude after lifting itself out of the water. 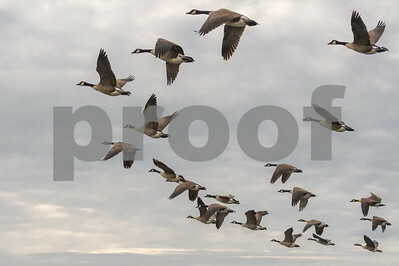 During the day, a couple hundred Canadian Geese swam lazily around a small pond. 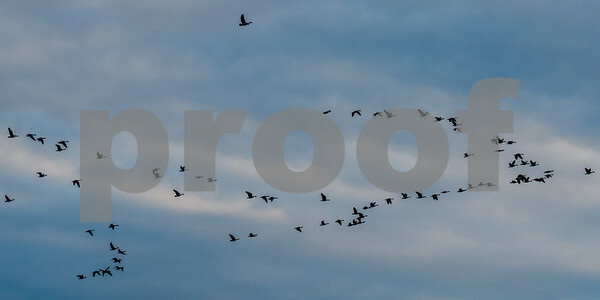 At twilight, they left in small groups. 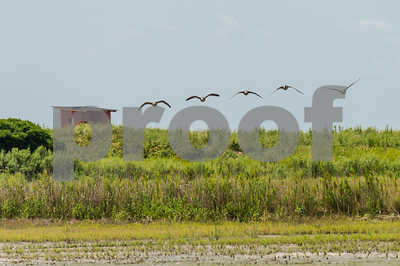 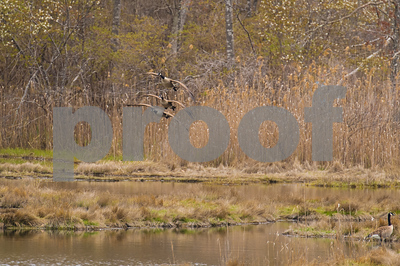 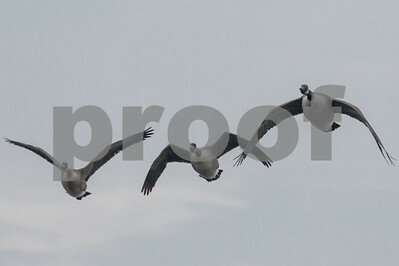 Three Canada Geese come in for a landing at a salt marsh stacked three high.